If you’re in the Mobile, AL area and looking for a great deal on a new or used vehicle, stop by Palmer's Toyota Superstore today! We offer a huge inventory of newest Toyota models and affordable used cars in Mobile, AL!Are you itchin’ to get behind the wheel of the amazing 2018 Toyota RAV4? How about the 2018 Toyota Corolla? Well you’re in luck! Here at Palmer's Toyota Superstore we offer a huge inventory of all-new Toyota models for sale or for rental and a wide variety of used cars in Mobile, AL. 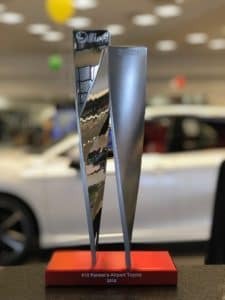 Palmer’s Toyota Superstore is a proud recipient of the 2018 SET Elite Award. Our dealerhsip has ranked in the top 10 for the 5th year in a row!Dealers are presented these awards based on excellence in sales performance, service performance, and customer satisfaction. We are forever grateful to our Gulf Coast community for helping achieve this goal. Palmer's Toyota Superstore is committed to customer satisfaction, not only during the sale, but for as long as you own your car. How committed are we? We’ve been in business for 23 years, and each year we have received the prestigious Toyota President’s Award. This award is only presented to dealerships with excellent customer satisfaction in both sales and service, and we’ve won 22 years in a row! We know you’re busy. That’s why our Service and Parts Department is open 6 days a week. Regular maintenance will not only help your car to run smoothly longer, but can also add to the trade-in value when you’re shopping for a new one. You know it’s important, but it’s hard to make time for it. Our convenient hours make it easier to have your vehicle serviced on your time. We even offer Early Bird Drop Off! Drop off your car after hours, leave your keys and contact information in the convenient drop box, and we’ll call you when it’s ready. Convenient, no-hassle service is what you’ll find at Palmer's Toyota Superstore. Palmer's Toyota Superstore has been an active member of the Mobile community for 21 years. We owe our success to you, and we believe that giving back to the community makes it a better place for all. 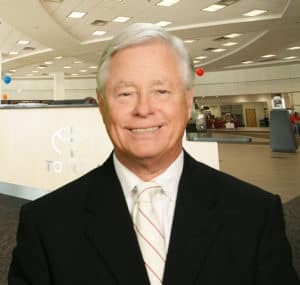 Palmer's Toyota Superstore has actively supported the Child Advocacy Center in Mobile, and in September 2013 Mr. Palmer was awarded the Outstanding Child Advocacy award for his generous donations over the years. Palmer's Toyota Superstore is also a major contributor to the Ronald McDonald House and to the L’Arche Community, we sponsor “Operation Santa,” and we’re a partner in education at George Hall Elementary School. Additionally, Mr. Palmer is involved with numerous school and city-wide recreational programs. We thank you for visiting Palmer's Toyota Superstore. Please allow us to introduce you to Mr. Keith Palmer. Keith Palmer, Dealer Principal, is a second-generation Toyota dealer. His wife, Rene, (a native Mobilian) and their 2 sons live in Mobile. 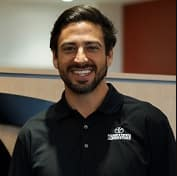 Jacob Palmer, after graduating college, has joined the team and now holds the role of General Sales Manager. Mr. Palmer is committed to multiple programs centered around the children of the surrounding area. Mr. Palmer is a board member and has donated over $300,000.00 to the Child Advocacy Center, is a major contributor to the Ronald McDonald House, sponsors “Operation Santa,” is a partner in education at George Hall Elementary School and is a major contributor for the L’Arche Community. Additionally, he is involved with numerous school and city-wide recreational programs. Palmer's Toyota Superstore seeks to be the “Model of Excellence” in the automotive industry. We understand the concept of service after the sale which is why we offer extended hours in our Service, Parts, and Rental Departments (7:00 AM- 6:00 PM Monday- Friday and 7:00AM- 4:00 PM Saturday) and have several Master Toyota and ASE Certified technicians on staff. Our Toyota TRAC Rental department offers the most popular, current year Toyota’s for short and long-term rental. The 70,000 square foot “STATE OF THE ART” Palmer's Toyota Superstore occupies over 19+ acres on Schillinger Road. We are also home to the first Toyota-Certified Collision Center in the state of Alabama. Become a member of the Palmer's Toyota Superstore family and watch us GROW! Remember…You get more at Palmer's Toyota Superstore!